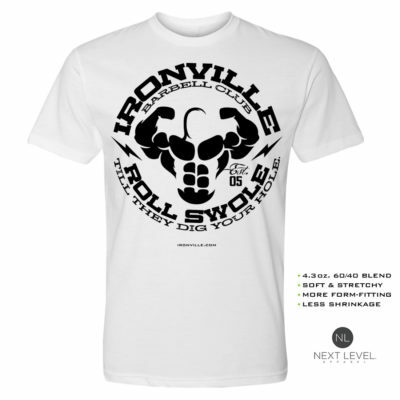 A newly added addition to our popular line of gym clothing, we’re proud to offer a dry-fit shirt option that boasts moisture wicking functionality and cool comfort. The poly microfiber material whisks moisture from the skin’s surface and repels it to the outer layer of the garment where it then evaporates, leaving you feeling cooler and more sweat free. They look great with our screen printed graphics, and have held up to the punishment in months of our own testing. 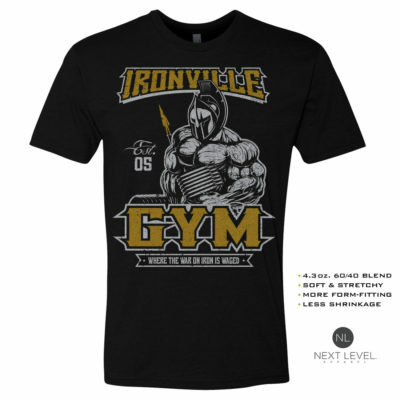 These new gym shirts look great, while offering functional comfort.